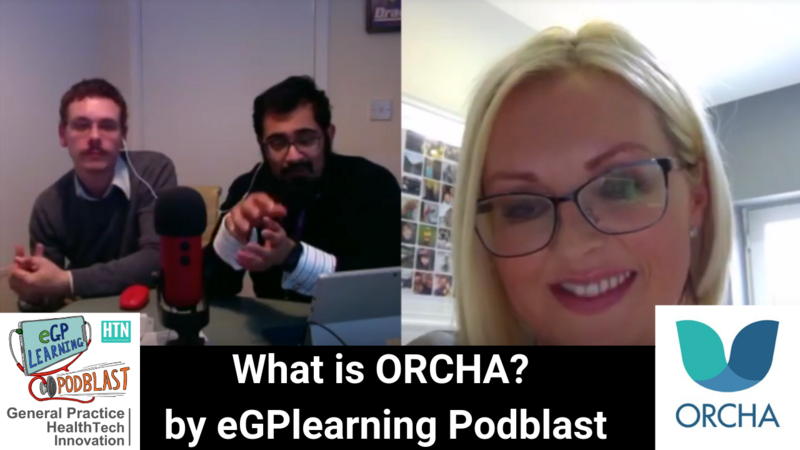 In this episode of the eGPlearning Podblast Andy and Gandhi interview Liz Ashall-Payne the innovative CEO of ORCHA (Organisation for Review of Care and Healthcare Applications). She is also the recent winner of the Tech CEO of 2019 award. Watch or listen as Andy and Gandhi learn about Liz’s journey as a digital entrepreneur and what is ORCHA, what it does, and how it may change healthcare in the UK and the world. Hear about how ORCHA is like the BNF of apps and how you can start right now to use it for patient care. We also hear more about fellowships, putting a need before business and we are able to offer you an amazing three months free trial of using ORCHA in clinical practice via the link here. Click the image below to watch the interview or listen via your preferred method below.